After several back and forths between the always-helpful NeatConnect and Evernote tech support, we have learned what the root of the problem is: because Evernote has increased its upload capacity for both Premium and Business accounts, there needs to be some sort of firmware modification before NeatConnect will go back to seamlessly connecting with Evernote. Nevertheless, we were anxious to use our new scanner alongside our go-to digital workspace and organizing tool. Thus, after much trial and error, here are our work arounds for when you experience obstacles linking your NeatConnect Scanner to your Evernote Premium or Business accounts. Upload into the Neat desktop software. Once a file is in the application, you can e-mail notes right into Evernote and easily name and direct the note right into its correct notebook and tags. To do so, address the e-mail to your Evernote e-mail address. If you don’t know what it is, you can find it by going to your Account settings. In the e-mail’s subject line, first put the note’s title, followed by the @ symbol and name preferred notebook destination, and, finally, #’s to incorporate tags. So, this note called “NeatConnect and Evernote disconnection” would go into our “Tech Issue Fixes” notebook under the searchable tags NeatConnect, Evernote, and Tech Issues. Upload and transfer. Upload files into one of the destinations that are working without any problems and then download notes to your computer to then upload into your Evernote. To try this method out, we tested by uploading client receipts from our Neat scanner into our Google Drive destination. When you upload into Drive, files will automatically go into a folder called “From NeatConnect”. You can then download the files from your Google Drive folder to your computer and manually upload them into Evernote. Though this is a 3-step procedure, it will allow you to route your notes to their proper places. Set up a Free Evernote account to scan into. Right now free accounts are the only ones not experiencing any NeatConnect-to-Evernote issues. Once you upload into your free account, you can export your notes from this account and then import them into your Premium or Business account. To do this, open Evernote and login to your free account. Then right click on the notebook name and choose “Export Notes”. Choose the location of the export file, making sure that you choose the .enex file type, not .html when saving. Now, to import into your Premium or Business account, log in and for each of the .enex files you exported from your Free account, click File > Import Notes and choose the .enex file when prompted. After the import completes, you’ll see a dialog box explaining that your notes have been imported into a local (that is, not synchronized) notebook called “Import [the .enex file name]” and asking if you’d like to place these notes in a synchronized notebook. Choose yes. You can now name your newly imported notes, tag them, and move them into their rightful places. **But keep in mind that Evernote Free accounts have a small capacity and even if you delete notes, you will not free-up quota. It resets at the end of each month. Taxes are challenging, especially when you’re self-employed. Use these five tips to streamline your tax process and save time this coming year. Since you need the same basic documentation every year, even the simplest steps to getting organized will save you time. Begin by reviewing the list of needed materials, which includes receipts and forms demonstrating all income and expenses (e.g., W2s, 1099s and interest statements from stocks and bonds). Review all bank statements for deductible expenses, such as business lunches, business cards, office flowers and professional training. 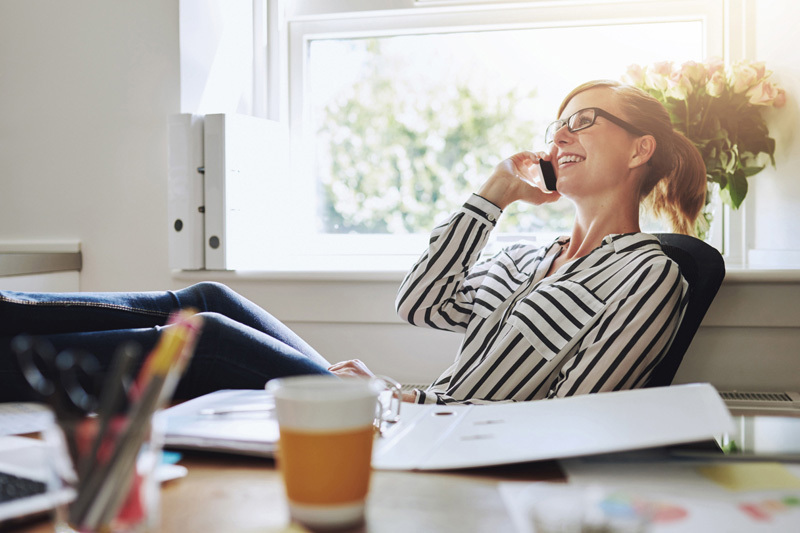 As Intuit notes, the IRS often takes a closer look at solo entrepreneurs, especially those that take a home office deduction. Get your records in order now so that they’re ready in the event of an audit. As you get organized, you may discover you’re missing documents. Get on top of this now by calling clients, reaching out to your bank to get duplicate bank statements, reviewing your bank and credit card accounts for discrepancies and so on. At this time, determine how to handle any expenses that are both business and personal. If you bought a new truck to haul supplies but also use it for grocery shopping, do your best to evaluate its personal use vs. professional use now. Any information you need to prove your business use, obtain at this time. As a solopreneur, you may have hired a part time or temporary employee—and this person needs to be classified properly for tax purposes. Generally, you’ll be using a contractor so you do not have to withhold tax money. If you try to get by with a contractor who should be an employee, you can run into trouble. Have that person complete a 1099 form so you can report her earned income to the government. If you use Intuit payroll services, you can easily complete the needed paperwork and send it directly within the system. Solopreneurs are subject to a self-employment or SEP tax, which is around 15.3 percent. In essence, you are responsible for paying your own taxes since no company is withholding income and sending it to the IRS for you. Consider using a money tracking app like Mint to establish a savings goal and automate regular savings. This way, you can pay your taxes without cutting into your cash flow. If you’re confused or short on time, look for an accountant who specializes in solopreneur taxes. You’re best off finding an accountant before mid-April, so she can devote the full time needed to your finances and maximize your deductions. For more tax organizing tips visit In Order to Succeed on Facebook and on Twitter. If you’re like most American consumers, you’re eagerly awaiting the holidays to roll around. Prepare to be immersed in family, good cooking and shopping. Black Friday is great, but who wants to fight with their neighbors over that last toy just to stand in line for a few hours? The real way to do it this year is to participate in Cyber Monday. There’ll be free shipping and great deals that will compete with the Black Friday sales that you wish you had the energy to go out and pursue. But wait, Cyber Monday already passed! No worries, the reality is that Cyber Monday ends up lasting all week and ends up molding into some other “Holiday Savings” event. Most sites just use this time of month as marketing opportunities, so there will be endless savings. Even more niche sites, like custom furniture, are maximizing on holiday spirit. For example, Country Lane Furniture features a large “News Alert” for Christmas ideas. Here are some tips to continue taking advantage of December Deals Month. Open up a Google spreadsheet or Excel and start logging all the big eCommerce sites like Amazon, BestBuy, NewEgg, etc. For each site, record upcoming deals (they usually announce them in advance) and prices. If you’re not a fan of spreadsheets, you can always create a new email for the occasion, and sign up for deal-specific feeds from these sites. For example, Amazon has an exclusive “Gold” deal feed that displays the biggest discounts. Most people think that the cheapest prices available are those advertised on the website. However, many retailers will offering coupon codes to further reduce these prices. You’ll have to do a little searching to find them, but you should be able to access codes ranging from free add-on items to a certain percentage off the purchase price. Also, if your retailer doesn’t automatically offer free shipping, make sure to check for a coupon code. There are hundreds of retailers who are all competing for your business on the same day, so you should be able to find a code for free shipping if you aren’t already automatically provided with it. Shopping online in December is usually a great way to capitalize on cash back rewards. For example, the Chase Freedom card offers 5% back on all Amazon purchases for the month of December. If you check with your credit card provider, you’ll often find that there are financial incentives for shopping at certain online retailers. Not only will you snag a great deal, but you’ll receive cash back to use on future purchases. Sites like Ebates and NerdWallet are helpful as well because you’ll receive a set amount of cash back with each purchase. And don’t forget about mail-in rebates. If you have the patience, MIRs can add massive future savings to your orders. Most MIRs go for at least $10 and upwards of 40-50 depending on the product. If you’re spending ~$200 on Christmas gifts, a few MIRs could net you 25% return. This would take a few weeks to process, but if you stick out you’ll end up with enough for free gift! One of the easiest ways to ensure that you have a smooth online shopping experience is to stick with trusted retailers. If a deal seems too good to be true, it probably is. You should avoid clicking on third-party advertisements on websites, because scam artists and hackers are notoriously on the prowl around this time. If you’re trying to get a good price on a TV, but it seems a little fishy, just stay away from it. No matter what the deal is, compromising your financial security isn’t worth it. Pro Tip: If you’re unfamiliar with a site, you can look up their info with “Whois.net” and just look for the age of the site. If it was created a couple months ago, you should be skeptical. Do we go up in arms with all the business propaganda in our Facebook feed? Or do we take in stride and follow brands that market respectfully? If we take the later route, we’ll experience some very unique opportunities that many people are still missing out on. For example, the leading pest control company in the country Victor Pest, created a Facebook contest to receive one of their high-end products. The contest was exclusive to social media channels and your chances of winning were extremely better than. The data wizard within your laptop may appear somewhat skillful, but it won’t reach its full organizational potential without your personal intervention. To prevent your storage from eventually reaching a stage of accumulated chaos, you must take control of data management. The wizard dumps some documents into the My Documents folder. Others end up in custom storage as designated by the creator application. Newly installed software may store critical program components in the system’s common AppDat folder, or it may dump everything into a custom program group. Icons show up on the desktop and you may not even know how they got there. If you fail to keep track of information destinations, the laptop tools you use to organize your life may end up crashing your wizard. The best organization tools for your laptop are tailored to your specific needs. Finding the applications you want is easy. Coordinating their functions on your system can be difficult, but controlling the software installation process is the key to efficient information management. Warning: Moving data files, program files or renaming directories can make them unable to read or even result in program failure. If starting from scratch, go with a laptop vendor that permits factory-installed software customization. For example: The Lenovo ultrabook can be built from scratch, enabling the buyer to make decisions concerning preferred operating system, productivity suits, security software and more before ordering. Follow up by organizing your hard drive in accordance to your work methods. According to the University of California San Diego, synchronization plays a major role in data storage. Nearly every data storage device and application relies on periodic synchronization. The better you organize your hard disk, the more efficiently your laptop will function. Use short but distinctive and descriptive folder naming conventions. Take control of your computer’s internal data wizard and organization. But don’t forget that the wizard is there as your helper. Don’t reinvent the Microsoft storage system. Visit In Order to Succeed on Facebook and on Twitter. The best organization tips for your laptop are tailored to your specific needs. Finding the applications you want is easy. Coordinating their functions on your system can be difficult, but controlling the software installation process is the key to efficient information management. Long gone are the days of “letter mountains” where the only reasonable way to cut through the clutter was paper shredding. Digital has taken over practically all forms of communication – funneling everything into one place: our inbox. Maybe you’re still getting campus news emails years after graduating or maybe you forgot to say no to a company’s newsletter when making a purchase. Either way, a lot of us are subscribed to newsletters and ads that do not interest us. Think of the time you’d save if you never had to see this junk again! Most of these emails contain unsubscribe links near the bottom of the page. If they don’t, you always have Gmail’s “Mark as Spam” feature. 2. Take advantage of customizable tabs. While changes to tools we use so frequently, such as Gmail, often seem aggravating at first, the new tabs in Gmail can be quite useful in un-cluttering your inbox. With tabs like “social,” you’ll never have to sift through Facebook updates to find work emails or bank statements again! And, since these tabs are optional, you can always revert your inbox to its previous settings. You really have nothing to lose. Also, consider integrating apps into your workflow to keep files out of your inbox and in the cloud. 3. Utilize stars and folders. Maybe you received an important email this morning that you need to set aside until you have time for it. Rather than letting it get lost in the abyss of your inbox, star it! Then, regularly check your starred mail by clicking “starred” under “more” on the left side of the screen. Once an email is taken care of, you can un-star it. Alternatively, create your own customized folders for important messages. For companies and practices like real estate law, organizing files, transcripts, records, and documents is essentially the glue that holds everything together. If you get a particularly large number of important emails, creating folders that you regularly check are a good alternative to stars. And if you really want to be sure you’ll look back at an email, mark it as unread. In the 21st Century it’s easy to fall into the trap of constantly checking your email 24/7. Many of us would start to panic if we were “disconnected” from our email for only several hours. Life as an email addict, while it may seem efficient on the surface, is a very inefficient lifestyle. You can never get big projects done without constantly taking breaks to check your email, even when you have no important messages waiting for you the majority of the time! Organize your routine so you have one or several designated times during the day when you check your email and type up any necessary responses. 5. Consider other communication methods. Remember the phone’s original purpose: making calls! While email is perhaps a more stress-free method of communication, think of all that the information that is lost and the misunderstandings that can arise when your recipient can’t hear the tone of your voice! Think about companies that have recently emerged over the past 10-15 years to fuel the digital world. These practices are new and confusing to people who’ve grown up working without all the digital interference. A company offering SEO cannot explain everything in a few emails or on a PDF. They must make calls to educate new and/or foreign organizations. And when you need a response right away, a 20 message email conversation is much less efficient than a 10 minute phone call or IM conversation. Author: Jesse Aaron is a professional blogger with a passion for homebrewing and recommends using quality metal for any homebrewing project. Follow Jesse on Google Plus. While changes to tools we use so frequently, such as Gmail, often seem aggravating at first, the new tabs in Gmail can be quite useful in un-cluttering your inbox. With tabs like social, you’ll never have to sift through Facebook updates to find work emails or bank statements again! Maybe you received an important email this morning that you need to set aside until you have time for it. Rather than letting it get lost in the abyss of your inbox, star it! Then, regularly check your starred mail by clicking “starred” under “more” on the left side of the screen. Once an email is taken care of, you can unstar it. 4. Create a designated email time. In the 21st Century, it’s easy to fall into the trap of constantly checking your email 24/7. Many of us would start to panic if we were disconnected from our email for only several hours. Life as an email addict, while it may seem efficient on the surface, is a very inefficient lifestyle. You can never get big projects done without constantly taking breaks to check your email, even when you have no important messages waiting for you the majority of the time! Organize your routine so you have one or several designated times during the day when you check your email and type up any necessary responses. And when you need a response right away, a 20 message email conversation is much less efficient than a 10-minute phone call or IM conversation.